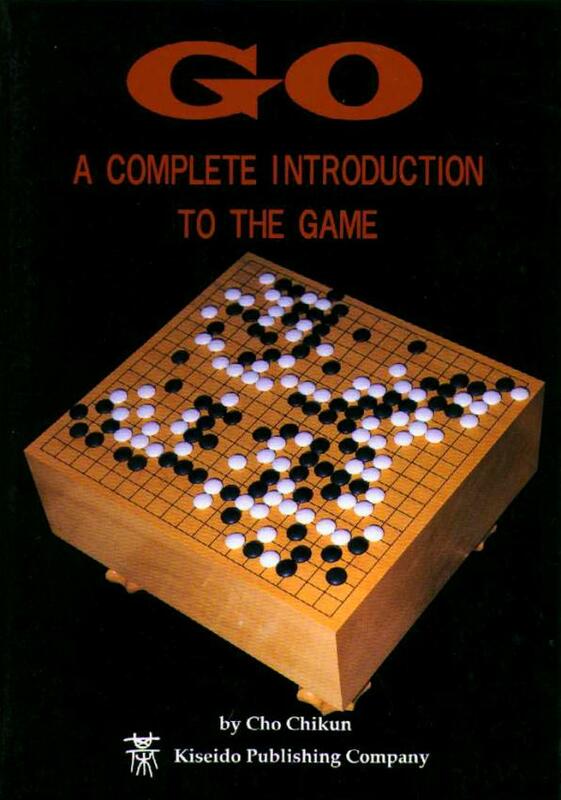 Go: A Complete Introduction to the Game , by Cho Chikun. Kiseido K50; 1997. This is an updated edition of The Magic of Go . The text is almost exactly the same; the only updates that I've noticed are to bring their discussion of things like the current pro scene up to date. If you have the older edition, there's no need to buy this book. The description below applies equally well to this edition or to The Magic of Go . This is a book for beginners. It alternates chapters on the rules and basic tactics with brief sections about the game, with historical information, information about professional go, go equipment, and other topics. I like this book a lot. It introduces the rules gradually over the course of a few chapters, and each of those first few chapters contains an example 9x9 game in which only the rules that have been encountered so far come into play. This makes the discussion of the rules much more concrete than they are in many other books, because you get to see them in real-life contexts immediately. If I were to write a beginners' book, that's how I would start it: when teaching beginners' how to play, I've found it useful to jump into the game and start playing as soon as possible, rather than to spend time on higher-level concepts like "two eyes makes life". After all, beginners won't really be able to understand those concepts until they've actually seen some games first, and it's quite possible to play a few games with out knowing about live groups. So it's nice to see a book that takes a similar tack. The later chapters seem perfectly fine; they do a decent job of introducing various bits of tactics and basic knowledge. And I like the cultural interludes that are interspersed between chapters; they're fun to read, and I'd imagine that they would make the game seem much richer to beginners. I wish that Kiseido could find a way to get this book distributed to mainstream bookstores, because it deserves to be widely available. For comments about the relative merits of different beginners' books, look here. Here's my short take on two introductory go titles. Iwamoto's book is more complete in its coverage of the game, with more basic stuff on tactics and strategies and is easily purchased in any good book store. Cho's book is an easier read with nice tiny essays on the GO scene and The Second Book of Go by Bozulich, second edition has been reworked especially to integrate well with it. Best value if you're not sure about liking GO in the long run but you're fairly confident in your abilities to learn the game is to grab Iwamoto now and wait for The Second Book of Go as it's still going to be a good read.